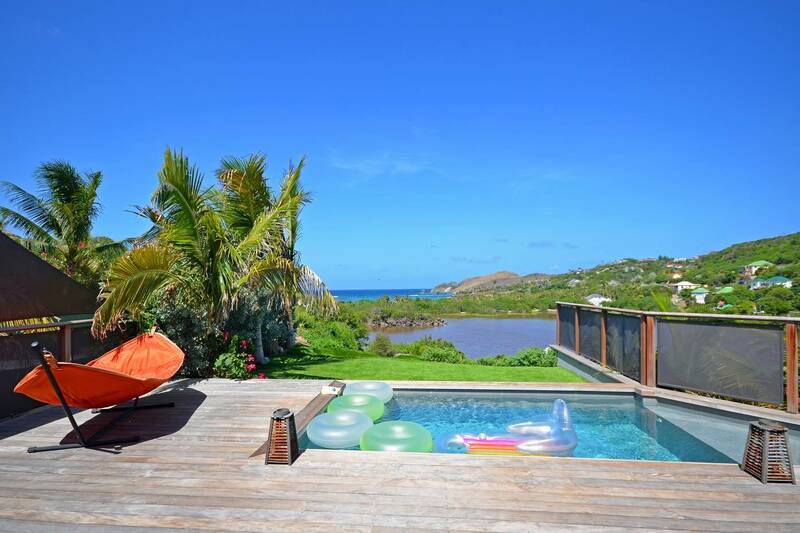 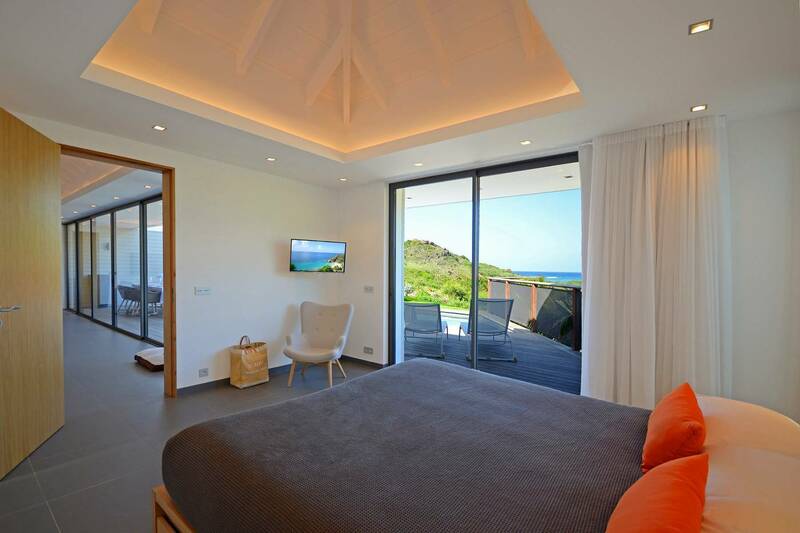 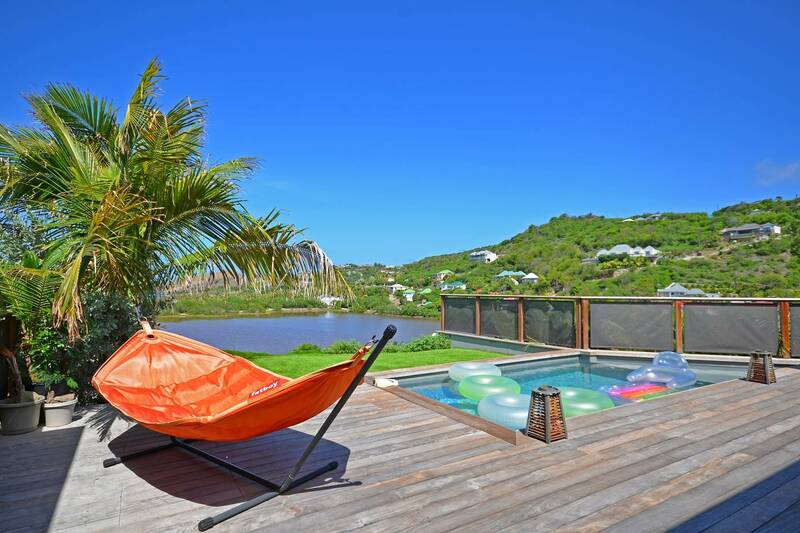 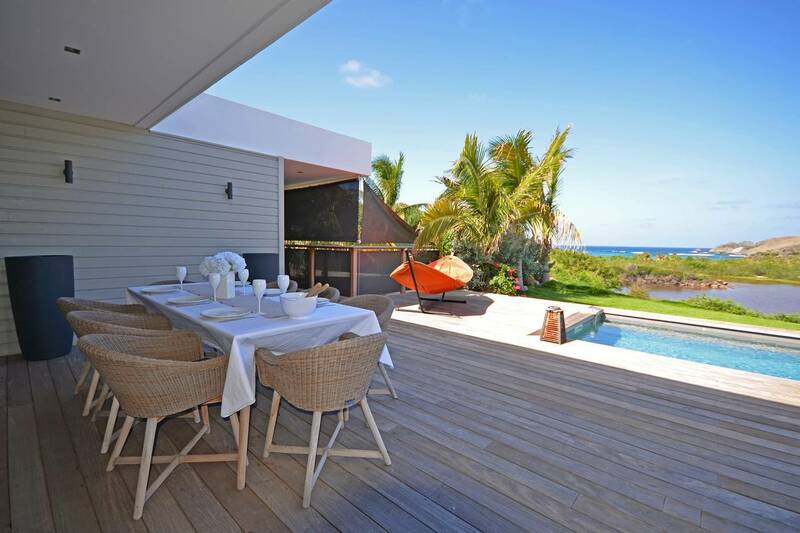 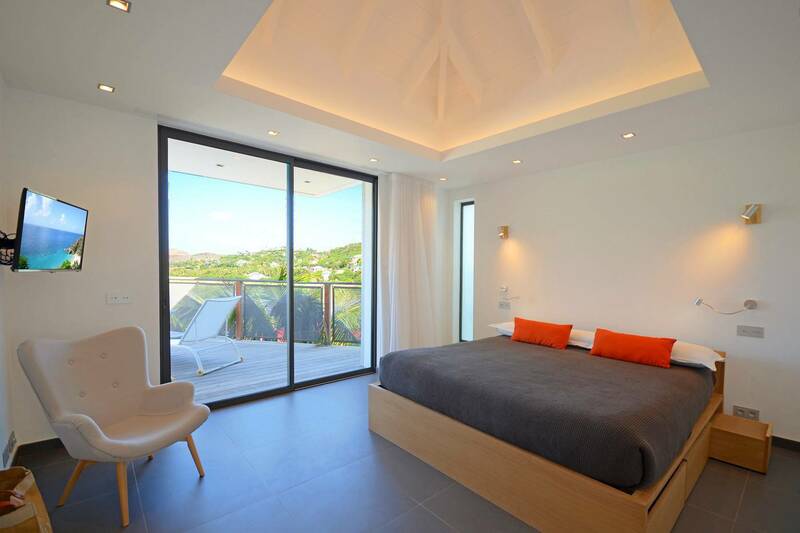 Dream About: A relaxing St. Barth villa vacation – think tranquility and sea views. 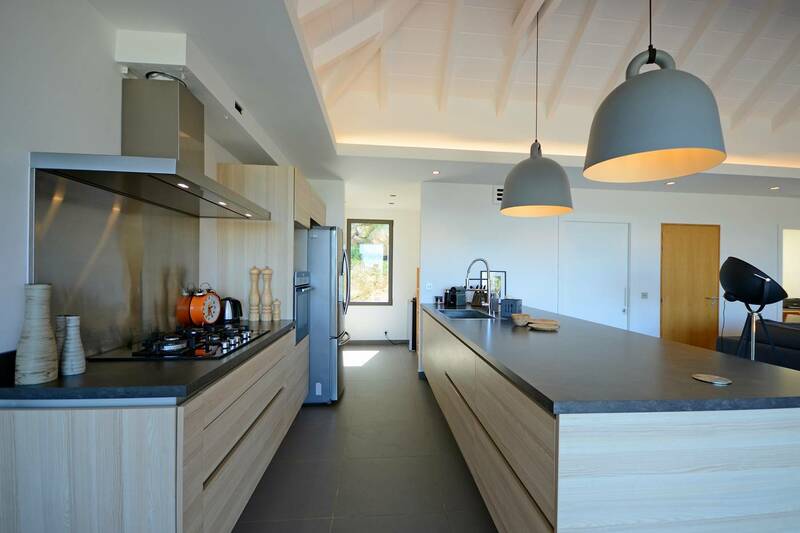 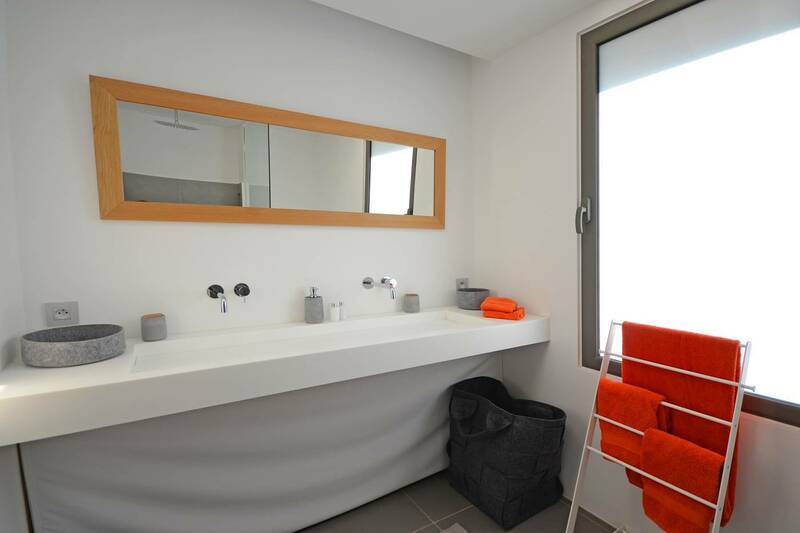 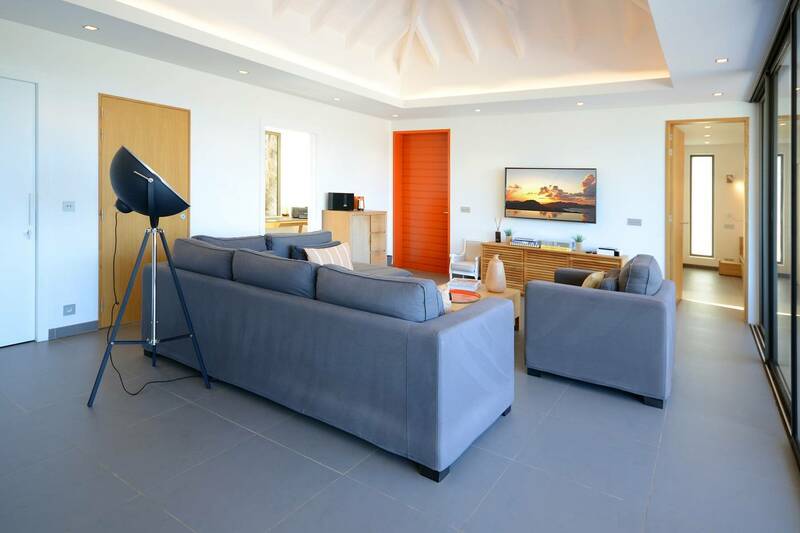 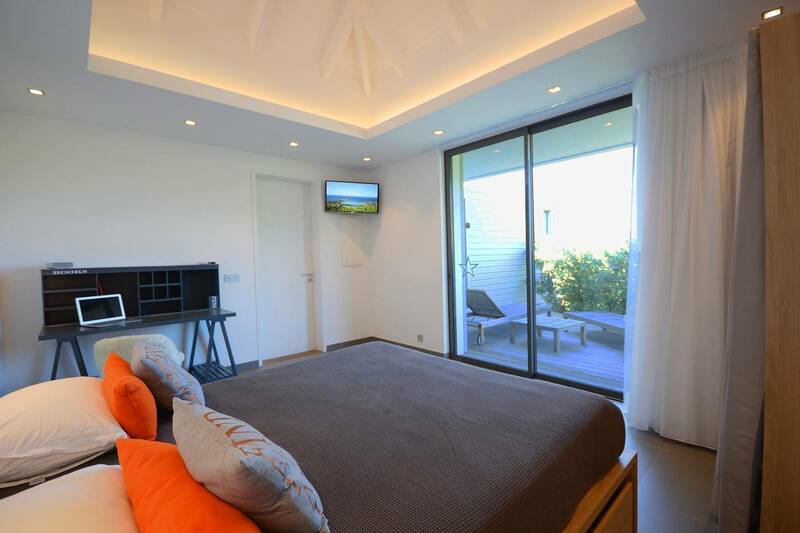 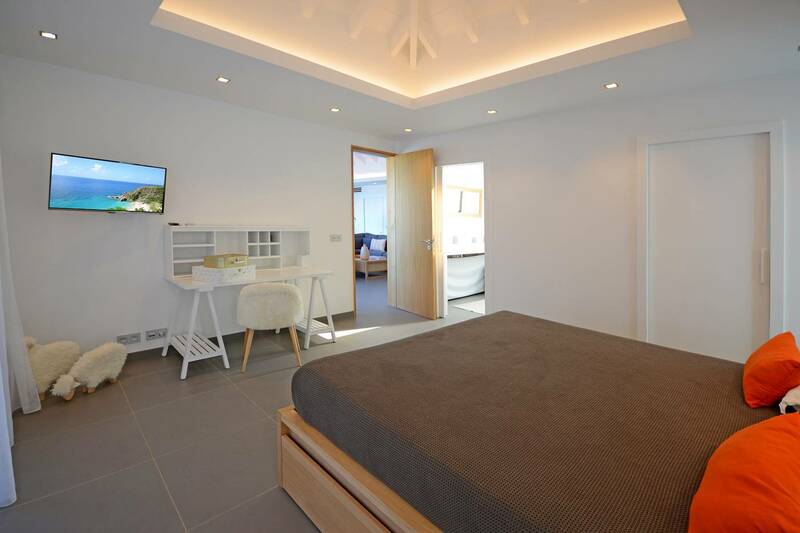 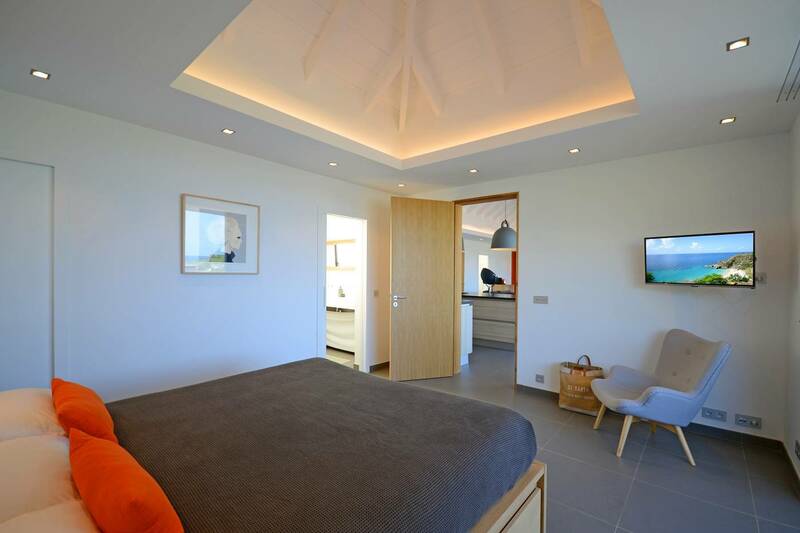 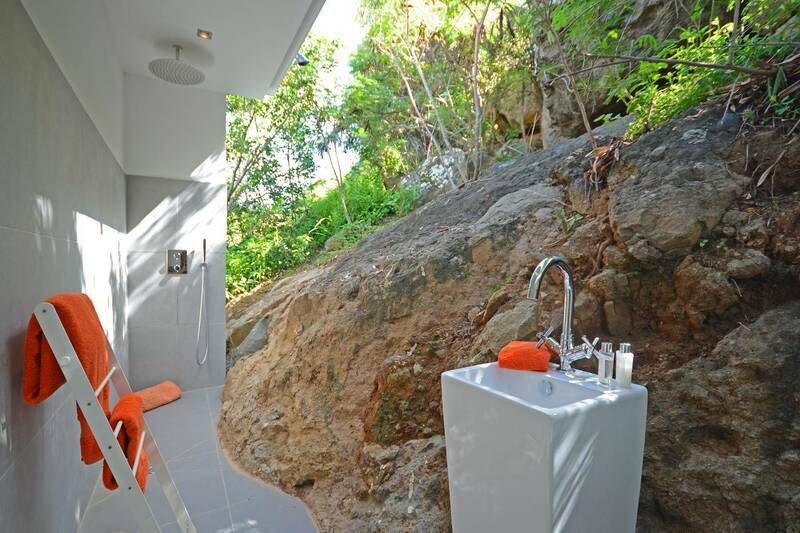 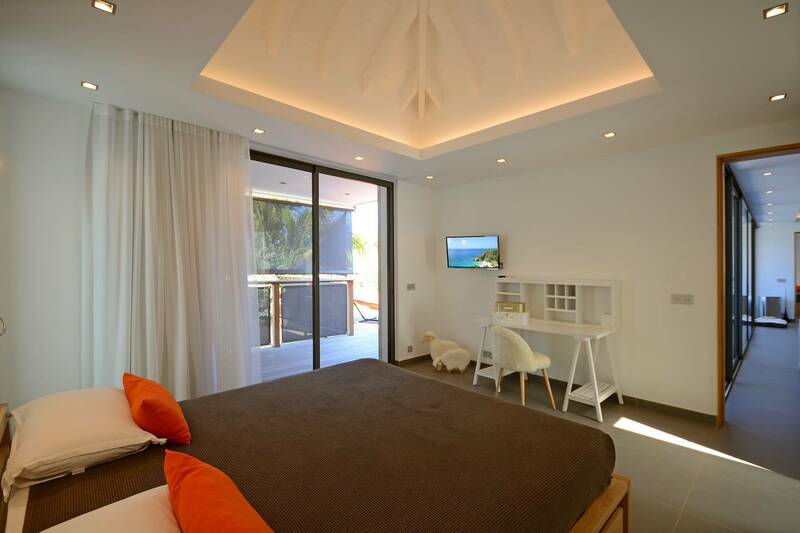 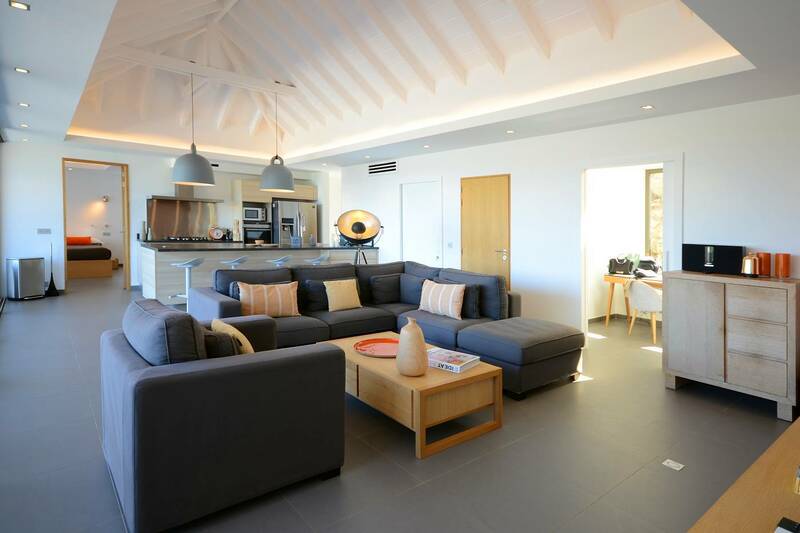 Modern and spacious, 3 bedroom Villa Barth offers a quiet Petit Cul de Sac location within walking distance to its beach and a view of the sea. 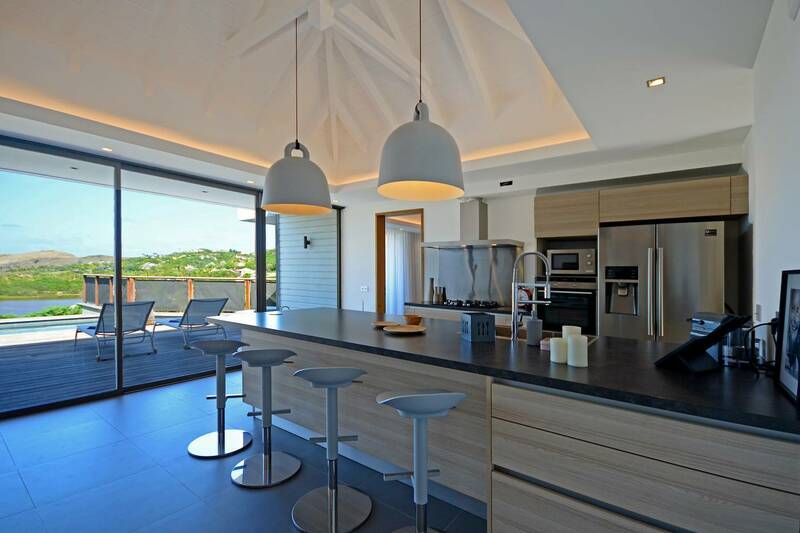 The well-configured space flows to include a comfortable living room and a sleek galley-style kitchen with a breakfast bar. 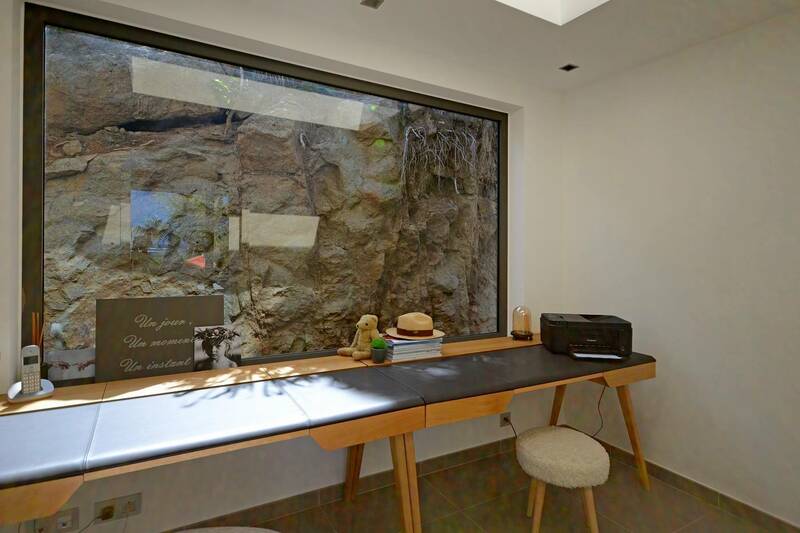 There’s a pantry and a wine cooler. 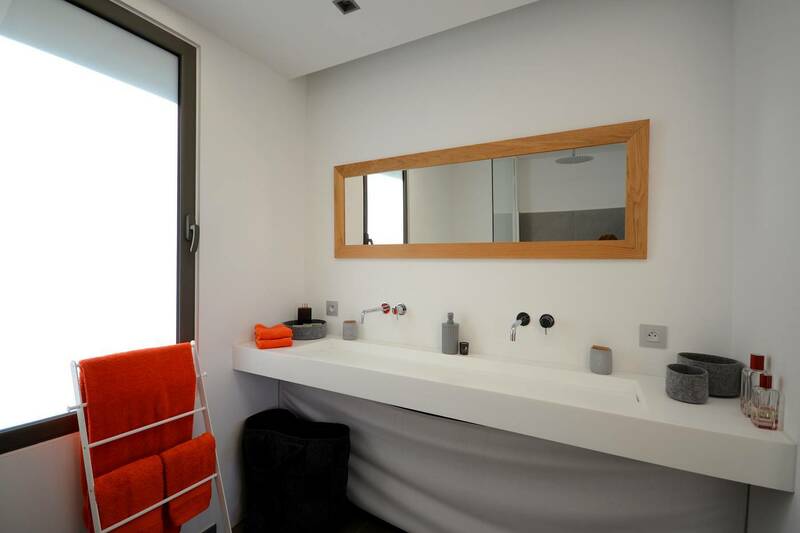 A guest bath and an office area are just adjacent. 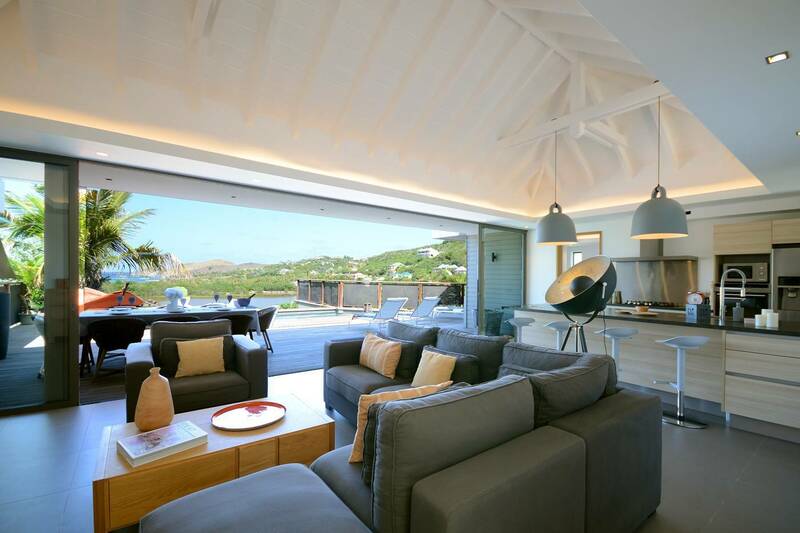 The indoor and outdoor spaces meld beautifully. 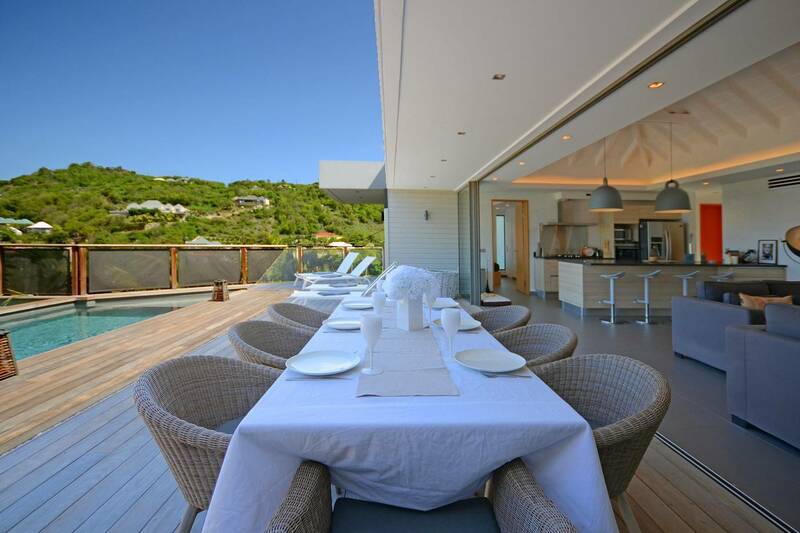 The deck features a covered dining area and guests love swimming in the heated pool and lounging poolside or under the lawn’s palm trees. 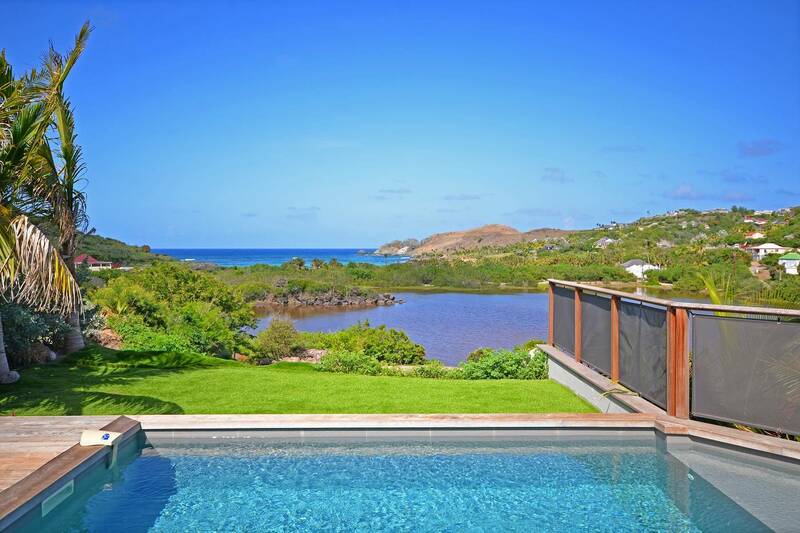 The vista of the valley and the salt pond are striking. 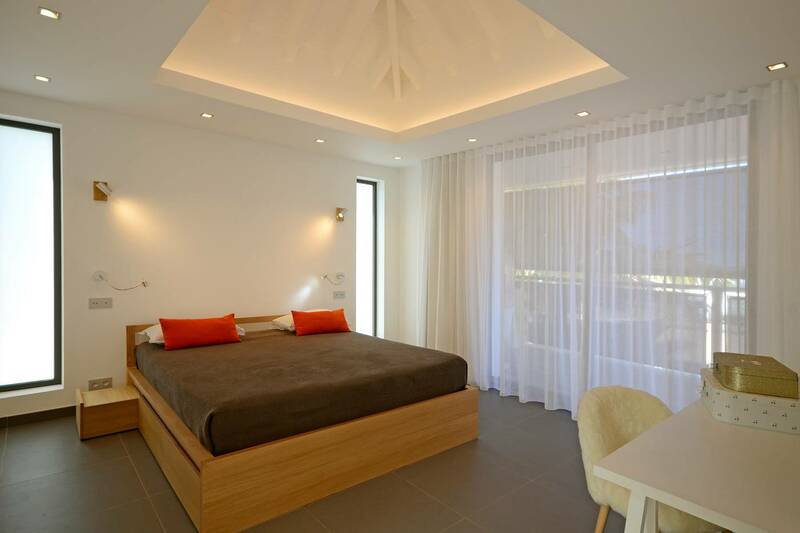 The two equally-sized master bedrooms (French king beds) have well-appointed en suite baths; a guest bedroom (queen bed), housed in a separate pavilion, utilizes an outdoor bath. 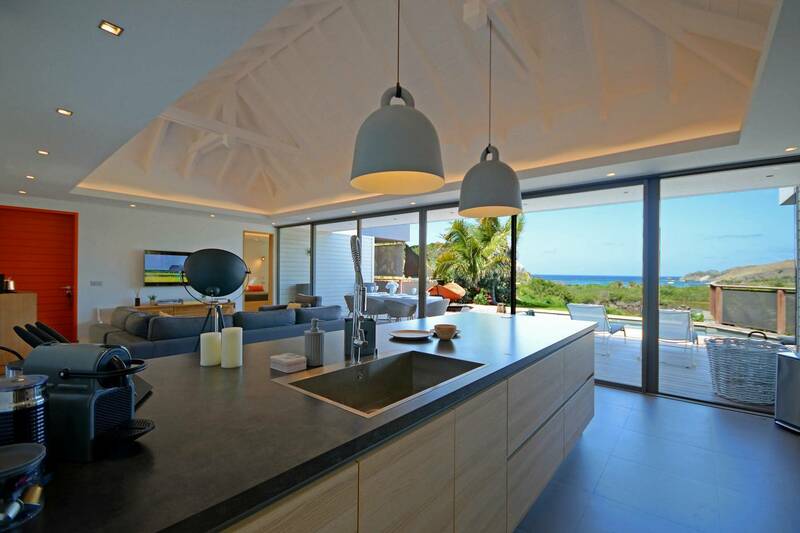 The contemporary décor is minimalist and pops of Caribbean color brighten the soothing gray and white palette. 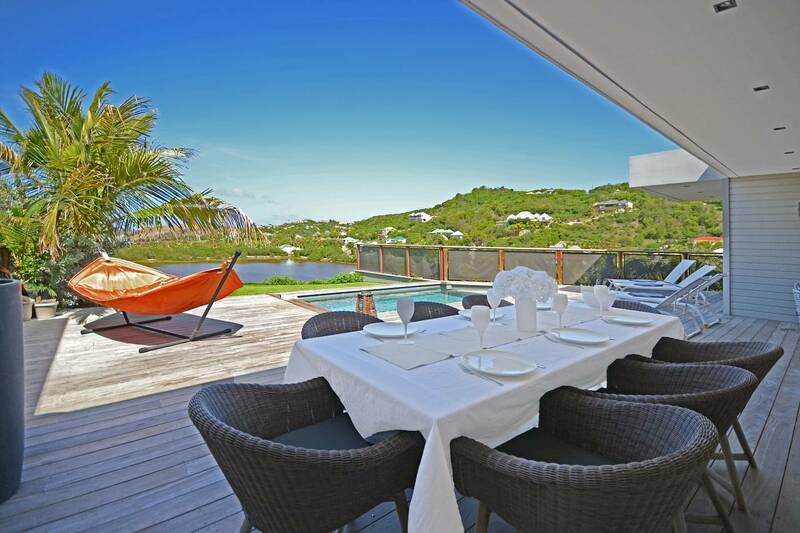 Dining al fresco with views of the valley, salt pond and the sea. 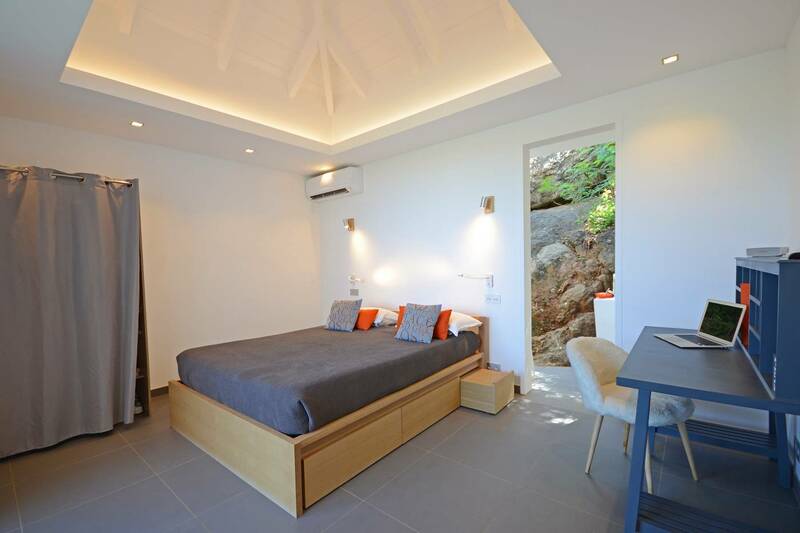 Features 2 master suites; guest bedroom and outside bath. 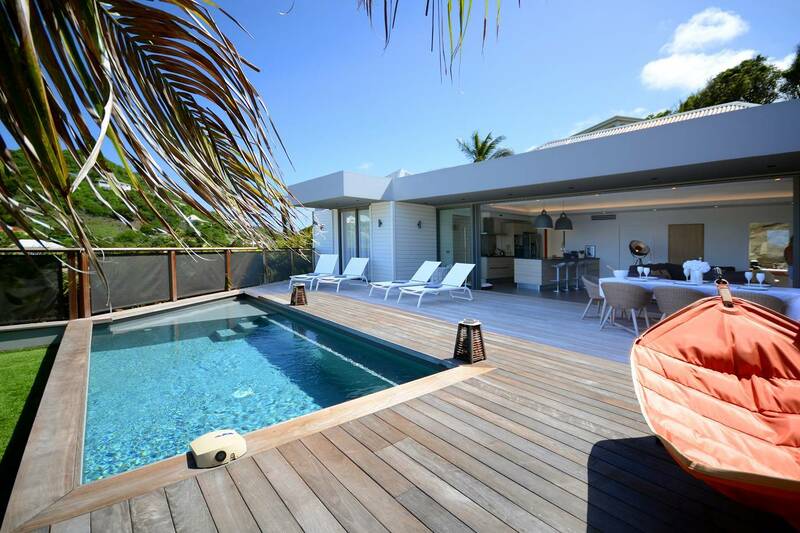 Swim in the heated pool or walk 5 minutes to the beach.